We’ll wrap up with the beefiest of the Olfa utility knives, the extra heavy-duty Olfa XH-AL. 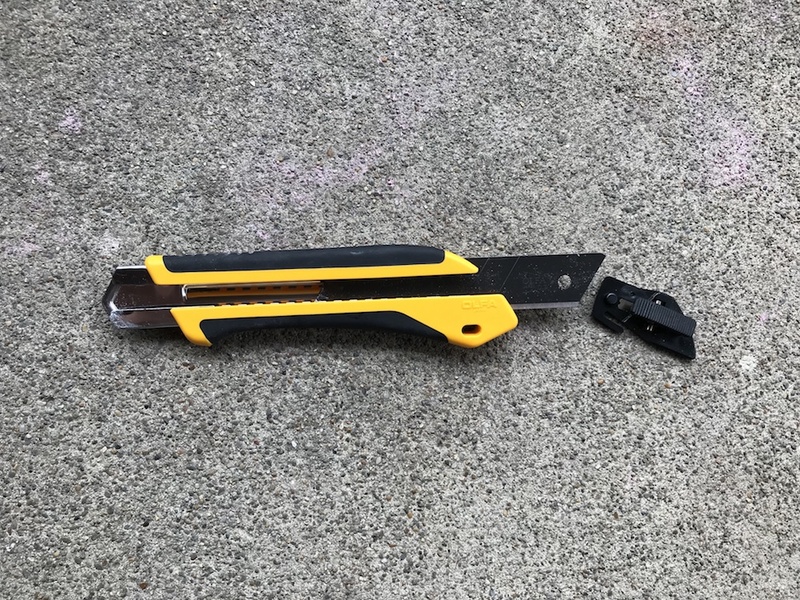 A bit taller and thicker, and about an inch longer than the LA-X, the XH-AL has the size and leverage to right-size pretty much whatever you throw at it. 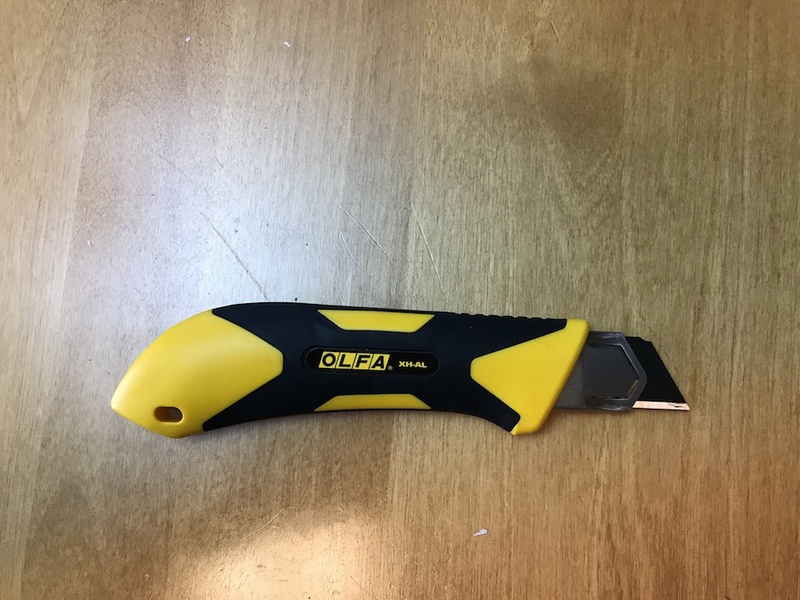 The leader of the Olfa utility knives pack: The Olfa XH-AL. I used on several projects, none of which came close to testing its limits. 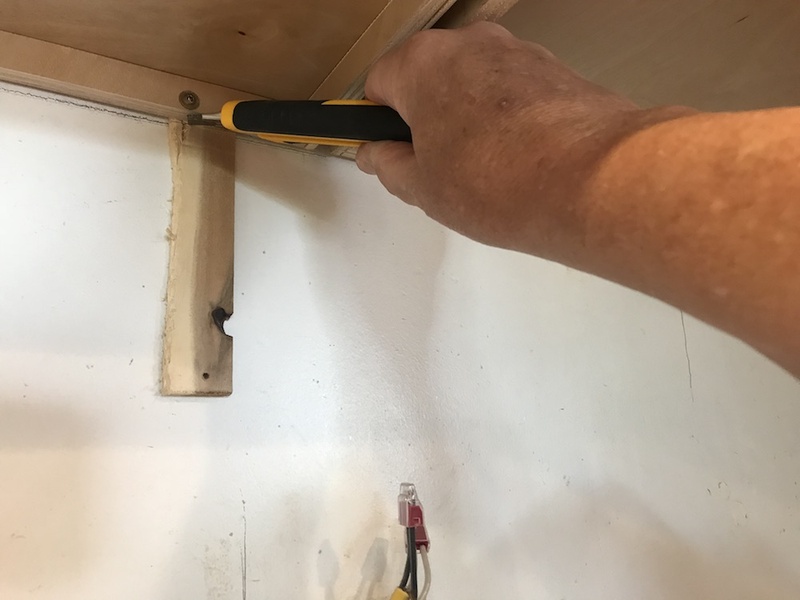 It trimmed a bunch of cabinet and door jamb shims, scored several sheets of drywall, cut insulation, and sliced through the caulk when I had to cut out a rotted window sill. 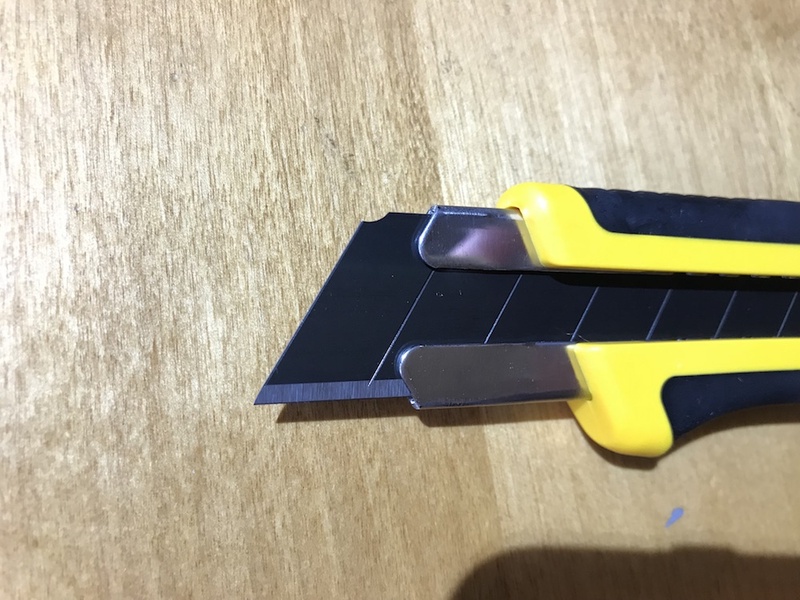 I also used it to cut a couple of roofing shingles into tiny, bite-size pieces, just to give it something a LITTLE challenging. After all that, I used it to get a spiffy new point on my pencil. 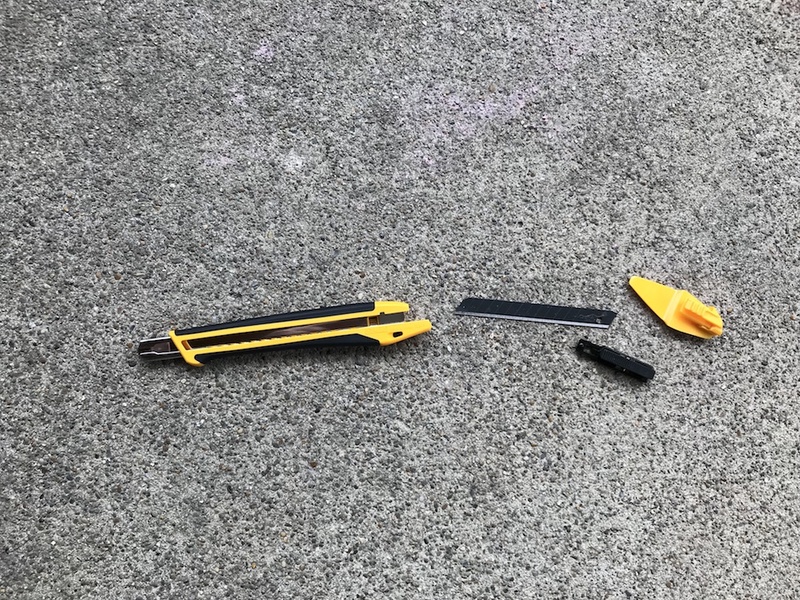 It did it all on one blade, and that blade was still usable. Although it probably wasn’t 25% sharper anymore. 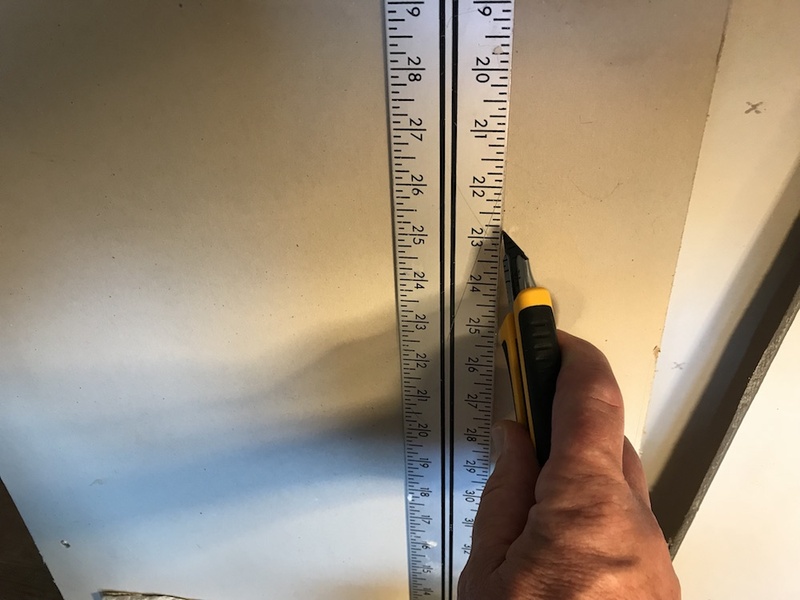 Scoring drywall all day? Baby stuff. Olfa recommends the XH-AL for cutting industrial materials such as nylon, synthetic belts, expansion board, gasket materials, high pressure laminates, flexible plastics, rope, Styrofoam, and more. 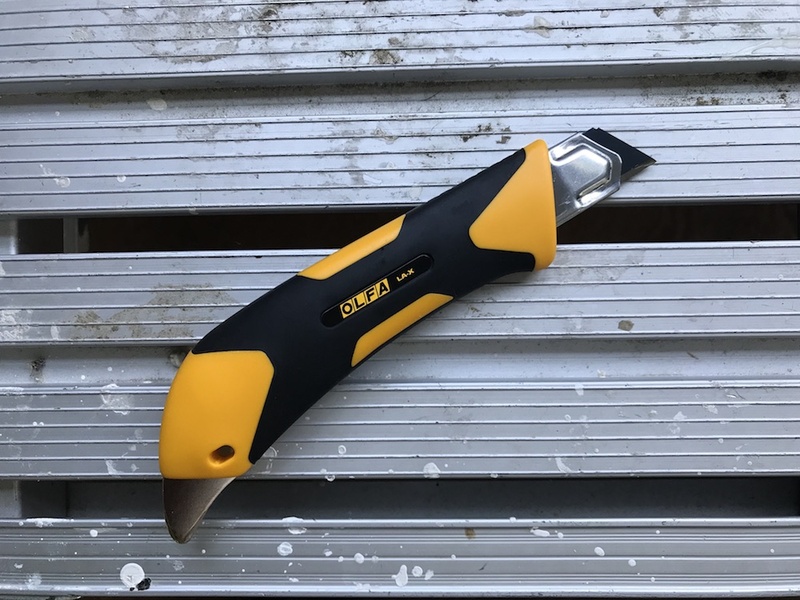 With its very robust 25 mm blade capable of extending 4”, it would be perfect for cutting through thick foam boards, foam rubber cushions, or…what’s on YOUR cutting agenda?! Oh Snap – Those Suckers Are SHARP! All three of the Olfa utility knives we got came pre-loaded with Olfa’s ultra-sharp premium carbon tool steel black blades. Olfa says the blades are 25% sharper than their Olfa silver blades. Our precision measuring equipment is all out for recalibration (uh huh), so we don’t have any way to measure that, but they sure tore through everything they came in contact with, so watch your fingers! 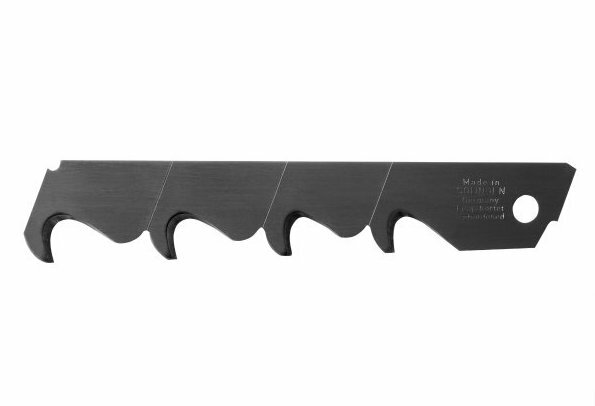 The black carbon tool steel blades on all of the Olfa utility knives are sturdy – and SHARP! The blade quality on the Olfa utility knives seems excellent. When using lesser breakaway blades, I’ve had the tips break off. This is annoying at best, and dangerous at worst, if the tip disappears onto the floor and someone finds it later with their bare feet, or it flies into your eye (although you ARE wearing eye protection, right?!). As I mentioned, the blades are sturdy, and when it’s time for a fresh one, they snap off cleanly. When you’ve snapped ‘em all off and it’s time for a refill, the process is fast and easy, with no tools needed. Just depress the black slider mechanism, and slide it out the back, along with whatever’s left of the blade. Blade changes on all of the Olfa utility knives are fast and easy. Depress the slider, push it out the back, and swap in a fresh blade. Slide in a new blade (watch your fingers! ), slide the tab back in, and resume slicing. Olfa offers a variety of blades for each knife, including specialty blades like an insulation blade, a hook blade, and stainless steel blades. 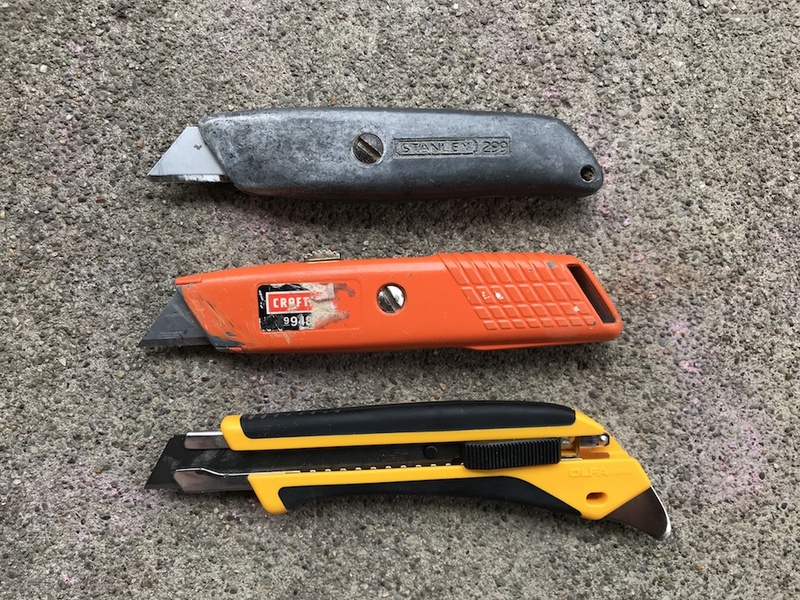 Do The Olfa Utility Knives Make The Cut? When I’m working, I have a utility knife with me all the time. I have several, including many old-school steel knives that take the double-ended replaceable blades. Unfortunately, I seem to have lost my favorite knife, a nice folding Milwaukee model. I like it because it’s easy to open and close, blade changes are fast and tool-free, and the belt clip keeps it handy. Until I leave it somewhere. I will say that the Olfa utility knives are much more comfortable to work with. The fiberglass and rubber feel better in my mitt than the old-school cold steel. The knives are very well designed and built, and with the variety of models offered by Olfa, you should be able to find a model perfectly suited to your slicing and dicing needs. Olfa backs the knives with a limited lifetime warranty, making for carefree cutting. Providing you don’t lose them. The Olfa web site also offers a “Where to buy” section. And I see it also carries the lifetime warranty. Looks a lot sturdier than the cheapo plastic knives; always a pleasure working with quality tools. It might not be heavy duty, but I get more use out of this in day to day stuff than any of my other utility knives. If I have writing implements anywhere, I have one of these in the mix, it’s about the same size and fits right in.